Leonie in front of the TU Braunschweig main building. A world’s first in Braunschweig: For the first time, an automatic vehicle is driving in everyday city traffic today. 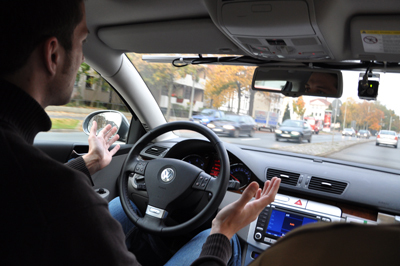 In the context of the research project “Stadtpilot”, the Technische Universität Braunschweig has developed a research vehicle in its competence centre Niedersächsisches Forschungszentrum Fahrzeugtechnik: it drives automatically along a given route in normal traffic. On Braunschweig’s two-lane ring road, the research vehicle “Leonie” is able to conduct challenging driving maneuvers at speeds up to 60 km/h: lane keeping, behavior at intersections, avoiding obstacles, and adjusting distances and speeds to the flowing traffic. The route includes part of the Braunschweig ring road from Hans-Sommer-Straße to the intersection Hamburger Straße, and back. A safety driver ready to intervene in emergencies is compulsory. The research project „Stadtpilot“ is the only research project worldwide so far that realizes automatic driving in real city traffic. 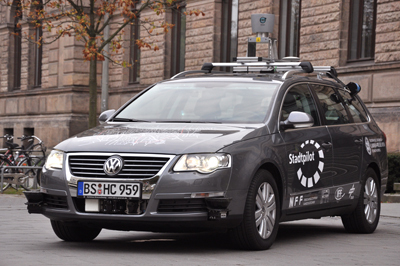 Already in 2007, the TU Braunschweig participated successfully in the DARPA Urban Challenge, the worldwide leading competition for autonomous vehicles: with the 2006 VW Passat Variant “Caroline”, the team CarOLO was in the finals as one of 11 teams out of the initial 89. Based on these experiences, an interdisciplinary team from three different faculties has now developed the follow-up “Leonie”. “To drive autonomously Leonie has to know not only the traffic rules. We teach it all a human also needs to drive. 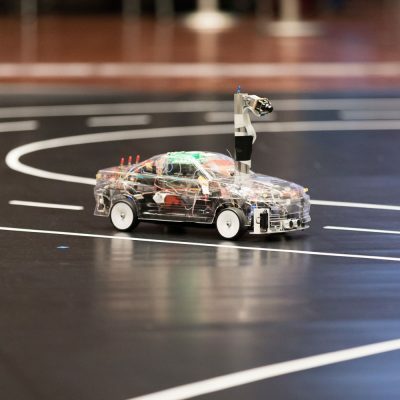 It has to know its own position (through satellite positioning), ‘see’ its environment, evaluate speeds and obstacles (with its sensor concept), assess difficult traffic situations, and recognize dangers in advance. In addition, it must learn to get along with various human drivers in other vehicles”, says project leader Jörn Marten Wille. It is the goal of the project “Stadtpilot” to drive autonomously around the Braunschweig inner ring road. The extremely complex environment makes the project challenging: the dense traffic on the two lane road is highly demanding for the environment perception; the narrow roads require precise lane planning; and the dense urban built-up area makes the exact positioning difficult. “Stadtpilot” has been developed mainly at the Mobile Life Campus, the Wolfsburg location of the Niedersächsisches Forschungszentrum Fahrzeugtechnik (NFF). Experts from Control Engineering (Electrical Engineering), Flight Guidance (Mechanical Engineering) of the Technische Universität Braunschweig, as well as the Institute of Transportation Systems of the German Aerospace Center, and the University of Hildesheim. have been contributing to the project. The NFF having research in new concepts for a sustainable automotive mobility as main objective sees the project “Stadtpilot” as an essential research project. 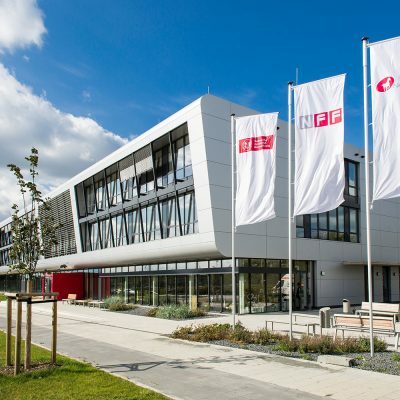 It is based at the NFF location in Wolfsburg. Leonie on the Braunschweig inner ring road, project leader Jörn Marten Wille. Leonie is a VW Passat station wagon, 2.0 TDI. With satellite positioning the vehicle can calculate its position in the traffic. Thanks to various laser scanners and radar sensors, Leonie can perceive its environment continuously and process the data. The State of Lower Saxony has granted an exceptional permission for driving in real traffic (on the Braunschweig ring road). It is based on the expert opinion of the TÜV Nord Mobilität. A safety driver is compulsory. Another driver inputs the data of the traffic signals which are not yet recognized by Leonie. 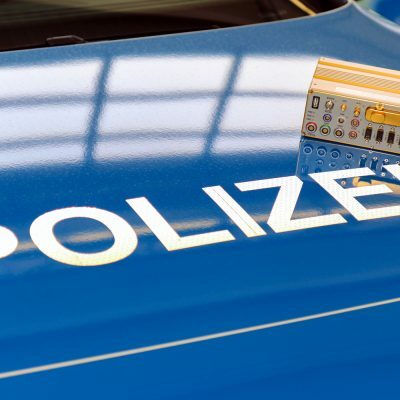 Since the beginning of this year already, the team of the Stadtpilot project has conducted driving tests on the compound of the former Heinrich-der-Löwe-Kaserne in Braunschweig-Rautheim. Besides Leonie, a second research vehicle, Henry, is being built up within the NFF research field “Intelligent Vehicle”. Henry is not yet ready to drive, though.